A recent article (“LA misses shale riches”, The Advocate, Feb. 5) portrayed the State of Louisiana’s as losing out on natural gas severance tax revenue as a result of exemptions granted to companies who drill horizontal wells in the state. It contains material misstatements of fact and some curious leaps of logic which bear scrutiny. Legislative Fiscal Office Economist Greg Albrecht asserts that “For all practical purposes, [the state treasury] may essentially get little or nothing” from the Haynesville development in northwest Louisiana. His opinion is apparently based on his mistaken idea that about 85 percent of a typical wells’ production is generated in the first six months, and after the first year the well is “essentially drained”. Perhaps more troubling is Albrecht’s notion that the gas companies would have drilled the Haynesville just as aggressively without the favorable severance tax treatment, because the amount of money saved per well is of no economic consequence. Yet we are told that the foregone revenue is very significant to the State. You can’t have it both ways; either the money is significant or it’s not. The “lost” revenue is a phony issue because without the tax exemption, many of those wells may not have been drilled. 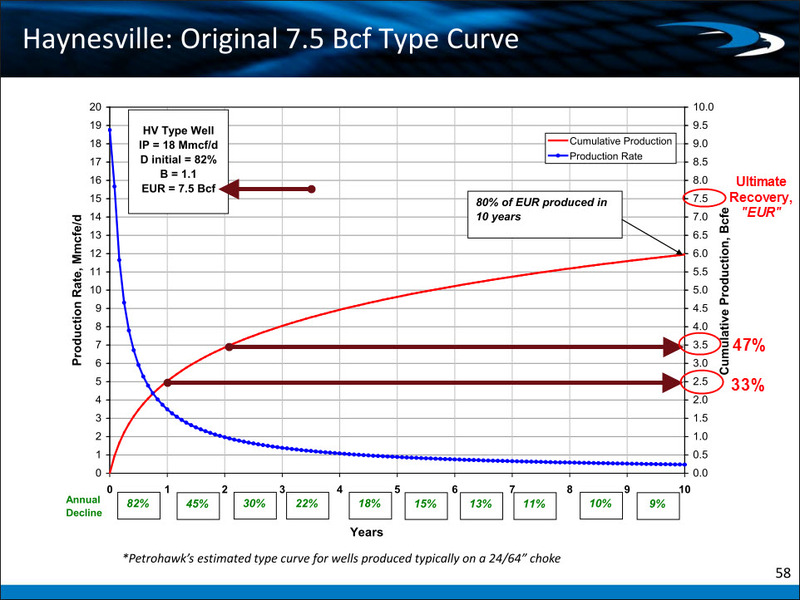 The Haynesville might be just another emerging play right now, and the State might not have received their nearly ten times the normal leasing revenue as a result of being the leading “hot” shale play at the time when gas prices were peaking in 2008. The true story of the Haynesville success for the State of Louisiana is barely mentioned in the article: the vast economic benefit of the payrolls, the lease bonuses, the landowner royalties, all of which will generate taxes for the state coffers. Surely Mr. Albrecht has an estimate of how many $billions that will entail. It would be silly for a retailer to worry about the revenue “lost” to a sales promotion that quadrupled his sales volume. The horizontal well severance tax exemption was the “loss-leader” that made the economic bonaza of the Haynesville possible. Full disclosure: I am a petroleum engineer, but my employer has no interest in the Haynesville Shale, and does not benefit from the horizontal well tax exemption.